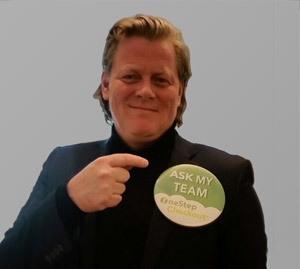 OneStepCheckout was launched in 2009 by two Norwegian serial entrepreneurs with 10 to 15 years experience in eCommerce and specialising on Magento stores. The objective is to provide a simple but robust way to simplify checkout and boost conversion. Over the years, the team has grown including best in class developers and marketers with FMCG and Retail experience, client’s side. 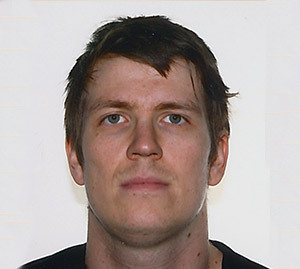 The core team is located in offices all around northern Europe including Oslo and Haugesund in Norway, Tallinn in Estonia and London in the UK. OneStepCheckout is not a traditional Magento module provider with a lot of extensions. Our checkout module is our core business. We work exclusively with checkout and conversions, to always bring you the best possible checkout product. We are all about reducing customer abandonment and increasing customer conversions. We also offer consulting services on how to improve the shopping cart experience, considering everything from visual design and copywriting to making the experience as simple as possible for your customers. We know how much effort and budget you invest to drive traffic to your stores. Our goal is to help reap as much rewards from it with as little effort as possible. Small cost effective improvements to your Magento can make a huge different in sales. With cart abandonment averaging 70% of your website visits, it makes sense to start with improving your checkout process. Read how it worked for our customers. OneStepCheckout is a rock-solid, well documented, thoroughly tested extension and we provide support if you run into issues. Merchants and Magento Agencies have seen time and time again how it was quick and easy to reduce cart abandonment and increase conversion rates simply by installing OneStepCheckout. Magento is the leading ecommerce software with more than 240,000 merchants world wide and 1 in 4 online business choosing Magento. Our OneStepCheckout product is an extension that replaces the Magento native checkout process. Now that we’ve become the experts choice, new Magento extensions make sure they are compatible with us, whether they relate to checkout or not like Mage Credit or Sweet Tooth (Loyalty and Points Programs for eCommerce) make sure they are compatible with us. Similarly, payment providers like PayPal or Braintree constantly work on optimizing their integration with OneStepCheckout. 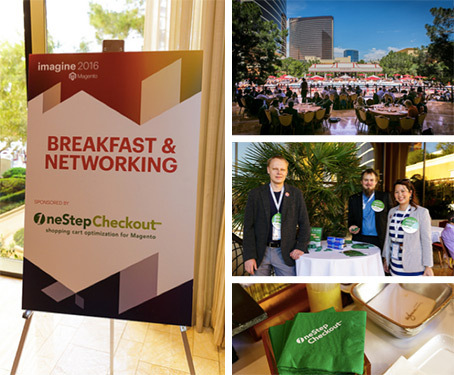 All have contributed to our success today, which is why, to thank them all, we’ve sponsored and hosted a beautiful sunny breakfast at Magento Imagine 2016 Conference in Las Vegas. The sole purpose of OneStepCheckout is to reduce customer abandonment and increase conversions. Maximizing profits by simply adding technology. We also want to help entrepreneurs or "micro­preneurs" in the developing world, through lending for the sake of alleviating poverty. It’s not simply feeling good. The eCommerce industry is basically all about trading goods. We think it makes sense to lend a hand to others in the commerce industry in the developing world. At the end of the day it’s all about getting a customer to buy a product, whether you have a global online store with thousands of users every day or a simple kiosk in a local marketplace. We all need to start somewhere, and who knows, maybe later down the track, some of the microbusinesses we are sponsoring today will go online too. 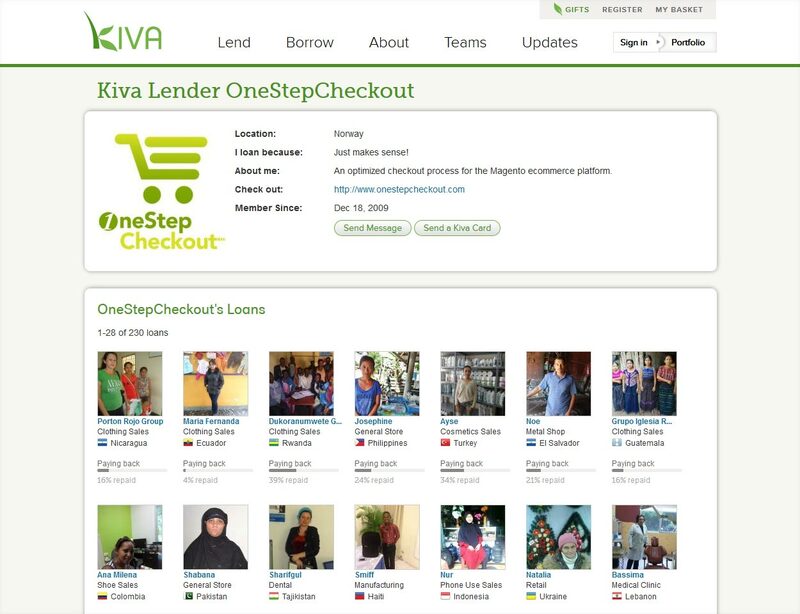 At OneStepCheckout we allocate some of our proceeds to microfinance projects, in cooperation with KIVA, the world's first Peer-to-peer micro­-lending website. OneStepCheckout Is headquartered at Oscars Gate 27 in Oslo, Norway.